Unique Social Media and E-Commerce Platform Attracts Funding to Empower Users to "Grow Your Social Wealth"
IncTwelve’s powerful social sharing tools ensure their fast growing user base can engage, create action and drive traffic back to their websites, blogs and social profiles with all outbound links being Do Follow. Every piece of content created on IncTwelve can be shared to other social sites and services such as Facebook, Twitter, Google+, Digg, Reddit and a host of others. Whilst most business focused social networks offer roughly the same features, i.e. user profiles, connections, blogs, events, forums etc, IncTwelve takes it to another level offering the ability to combine visual information with commercial impact and the integration of a comprehensive, feature rich but easy to use e-commerce platform, where all products are combined into one big awesome Boutique, helping individual sellers make more sales through the natural discovery process. The Boutique fulfills a need for retail businesses, large or small, to be able to not just promote themselves, but to have a platform to sell products and drive explosive growth without paying any commission on sales. Additionally IncTwelve’s integrated Job Board offers a search of millions of vacancies across the USA. Whatever industry a user operates in, whether it is retail, affiliate marketing, IT, construction, entertainment, real estate, fashion, sport or banking, IncTwelve offer tools aimed at assisting users achieve their broader strategic goals. 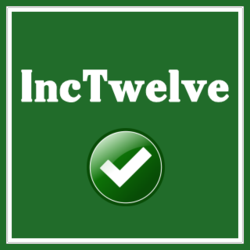 IncTwelve is a social media and e-commerce platform on a mission to empower individuals, entrepreneurs and business owners to promote, share and generate visibility and revenue for themselves, their business or their brand. IncTwelve is a web property of Globalvb Ltd, a dynamic young UK tech startup.